Buying a new home is exciting. Buying a brand new home can be even more so with the realization of being the first owner and possibly being able to choose your own layout and finishes. The prospect of owning new construction is definitely exciting, but it doesn’t come without its own set of questions. If you’re in the market for a new home, and considering new construction, make note of the questions below when you begin your property search. What Are The Long Term Plans For The Community? Unless you’re looking at custom homes on acreage, it’s likely new construction in your area will be located in a new development or in a master planned community. With this in mind, feel free to ask about the plans for the community. If it’s a large area, find out if any subdivisions are planned. If there are only a few houses built so far, it’s likely to mean lots of construction in the months to come – which means a lot of noise and construction traffic. Also ask about the builder – if they’re well known and respected, it’s unlikely they’ll lose funding and the community will likely continue on as planned. What Are The Homeowners Association’s Rules And Regulations? Many new developments and master planned communities come with a set of rules and regulations set by a homeowners association. If you’ve never lived in a community with an HOA, it’s important to find out the rules before investing in it. The bylaws and the CC&Rs will let you know what is and isn’t allowed in the community (especially when it comes to the exterior of your home). You’ll also want to find out when the HOA fee begins – in some communities, it can start before the home is even finished. Are There Any Buyer Or Financial Incentives? If the community or development is still in the early stages, there might be incentives (like a buyer discount, builder upgrades or other financial incentives or freebies) for buyers. Sometimes these offers come with a catch – where something is expected from the buyer in return for the incentive – but it’s important to ask about any offers that may be available, especially if the community is still up and coming. New homes often come with different warranties. Ask if a workmanship and structural warranty come with the home. A workmanship warranty (or builder’s warranty) is a warranty for newly constructed homes that offer limited coverage on workmanship and components of the home like windows, siding, roofs, doors, plumbing, electrical and HVAC. Traditionally, a workmanship warranty will cover a one or two year period; another likely warranty is a structural warranty, which covers the structure of a home. If a warranty is provided, make sure you know exactly what is and isn’t covered and how much you’re responsible for in case of any issues. Can you connect me with some current homeowners? Just as you would check reviews before buying an item online or booking a service, the same can be said for a home builder. Just because the product is a shiny new home doesn’t mean you shouldn’t do your due diligence and check references before making a large investment. While it’s likely that the builder will provide glowing reviews, checking reference and review websites and even knocking on the doors of current homeowners will provide additional information and give you a wider understanding of the builder and its practices. Talking to current homeowners will provide information about the actual community. New construction is exciting, but you want to make sure you have all pertinent information before you go through with a home purchase. 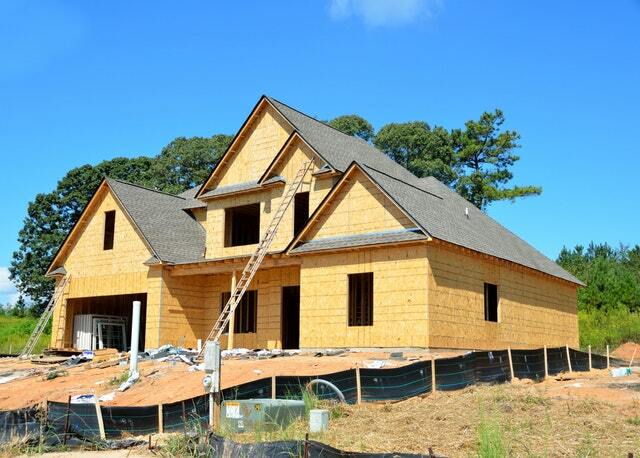 Your real estate professional will be able to help navigate the waters of new construction.